No one is immune to the post effects of manmade events or natural catastrophic situations. Such as abuse, trauma, or combat experiences as well as tornadoes, hurricanes, floods, and wildfires. Abuse and trauma are happening every minute somewhere in the world. These types of painful experiences touch the soul of everyone directly or indirectly. Survivors of such experience report the worse part of post-traumatic events is when the recollection of the events surfaces into the conscious mind. This is called “re-experiencing.” Re-experiencing occurs when the memory replays the whole recording (a full memory) or when a portion of the entire recording flashes across your mind known as a flashback. Re-experiencing happens when all or a part of the traumatic memory gets triggered by a situational cue in the moment and causes a surfacing in your conscious mind without warning. The problem with re-experiencing is that the mind makes the memory seem like the horrifying situation is happening all over again, all painful emotions seem real, and the intensity is overwhelming as well as confusion sets in. You think you are going crazy. A major associated problem with flashbacks is the core belief that formed during the event and became connected. These core beliefs, once triggered, surface into your conscious mind and cause negative thoughts. 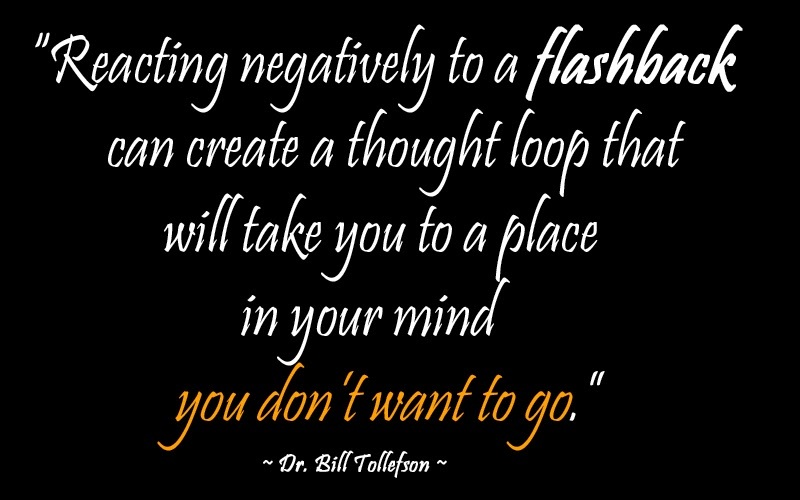 Once your negative thoughts are set in a thought loop, they can develop into a thought addiction which makes you think and feel like you are entirely out of control. Thought addiction quickly decreases your self-esteem, your self-worth and reduces your confidence in self. What is worse is that the looping thought can take you mentally to a place that is self-limiting, self-sabotaging and self-defeating. Don’t let traumatic memories or flashbacks of your past events take over your reality or your ability to function in the moment. Understanding that memory is only a memory, just a recording or a snapshot of your history. Memory is merely a copy of a situation or event which has already happened. A memory can’t hurt you. It happened, it is not happening!!! You can’t entirely delete a traumatic memory or flashback from your brain, but you can restructure the memory. Restructuring the traumatic memory will help your mind to process the content of the event, eliminate the emotional charge and stop the intensity. Restructuring a memory can remove it out of dissociative storage it was filed in for many years, allow the brain to process what happened, and then convert it into long-term memory bank safely. 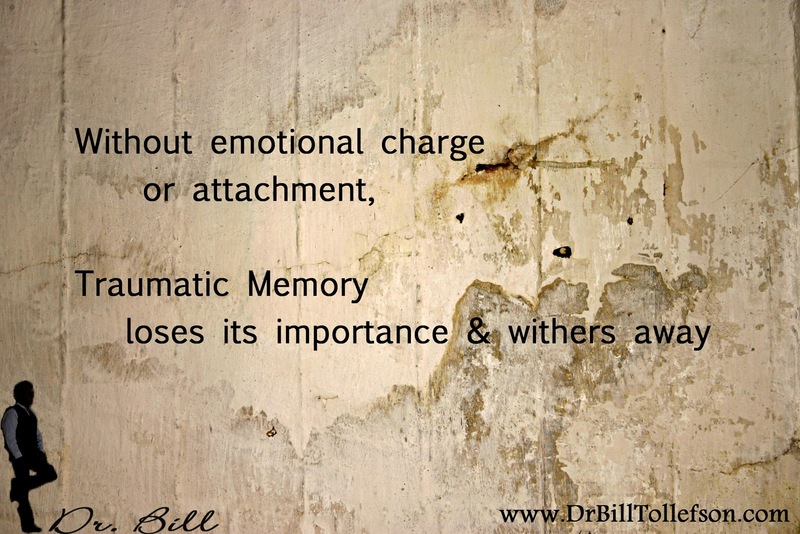 During the process of restructuring the traumatic memory will become insignificant, just a recording of the past. Also you can recover the part of self that you lost from the experience. Once all painful memories are rendered invalidated, your brain can return to a sense of balance and calmness. There is a techniques called Rapid Reduction Technique or RRTthat can assist you in the process of invalidating painful and hurtful traumatic memories and flashbacks safely and protectively.